Dr. Charles Dietzek is on the cutting-edge of venous disease and treatment of venous insufficiencies. He is often at the forefront of treating very serious conditions of varicose veins and the underlying conditions which cause them. One such case involved a young man who had such severe damage, his vein erupted and caused uncontrollable bleeding on more than one occasion. MB and Associates swiftly interviewed the patient, compiled compelling facts about his backstory and married dramatic home video shot by the patient to a very hard-hitting medical pitch to The Doctors program. 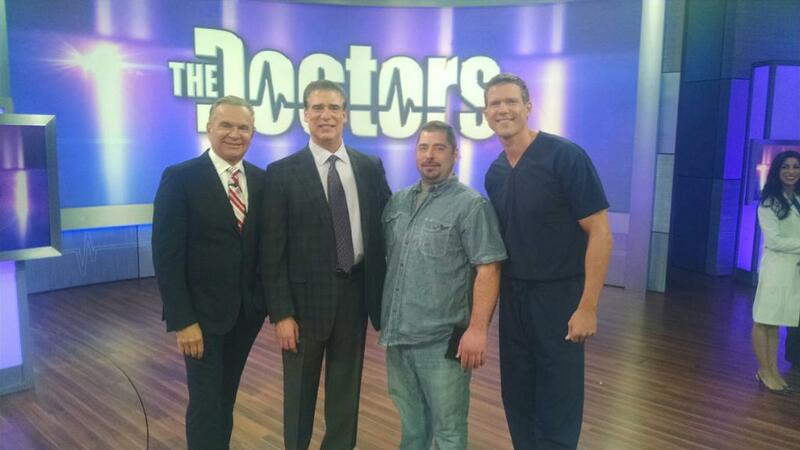 Within a week’s time, the show’s producers flew both Dr. Dietzek and his patient out to tell the story first-hand in front of a live studio audience and explain the detriments of varicose veins and the real health risk they can pose. The appearance resulted in a great outpouring from the local community and truly reinforced to those in need of treatment, that Dr. Dietzek was indeed the go-to doctor for venous disease.